Karen Gillan (Amy) and Arthur Darvill (Rory) introduce the dramatic, funny and fantastic Pond Life, a five-part mini-adventure featuring the Doctor, Amy and Rory. 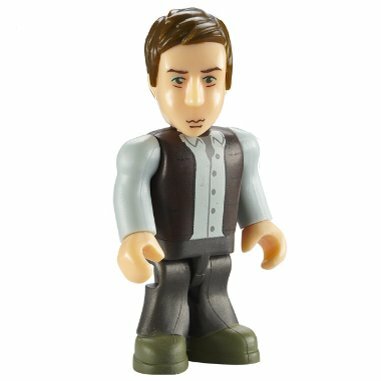 Small yet durable, a good addition to the Lego dr who fans collection. My 7 year old loves having this as part of his collection. Sometimes, change is good, as evidenced by Matt Smith’s assumption of the mantle of Britain’s beloved science-fiction hero, Doctor Who, in this stellar series. Replacing David Tennant, who was arguably the most popular incarnation of the Time Lord since Tom Baker, was an unenviable task for any actor. But relative newcomer Smith–the youngest performer to play the Doctor–makes the role his own within the first few moments of the series opener, “The Eleventh Hour,” which introduces his puckish interpretation, as well as companion Amy Pond (Karen Gillan). The pair, whose banter is a terrific mix of screwball humor and light sexual tension, are later joined by Amy’s fiancé, Rory (Arthur Darvill), who is not quite whom he appears, as revealed in “The Pandorica Opens.” Old enemies such as the Daleks (“Victory of the Daleks”), the Silurians (“The Hungry Earth”), and the formidable Weeping Angels (“The Time of the Angels”) test the Eleventh Doctor’s mettle, as does the series’ central adventure, in which a host of the Doctor’s foes, including the Cybermen and the Sontarans, unite to seal him in the fabled Pandorica, an inescapable prison located within Stonehenge. The 13 episodes of Series 5 are thrilling, thoughtful, humorous, and altogether addictive–in short, as good a series of Doctor Who as any that’s been produced. MJ Fantastic fairy tales Series Five of Doctor Who was it's first in high definition and the first with all the new producers, including head writer Stephen Moffatt. 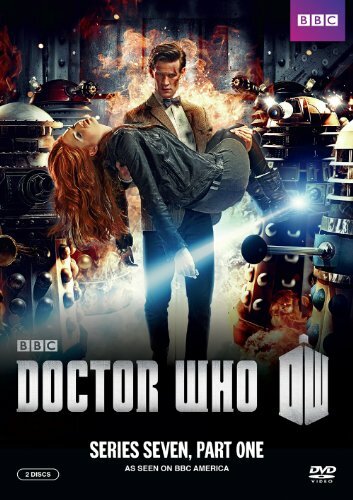 This fairy tale series includes some fantastic episodes:- The Eleventh Hour, The Time of Angels, Vincent And The Doctor, The Pandorica Opens to name just a few, and the collection also has all the Confidential cutdowns and lots more features. 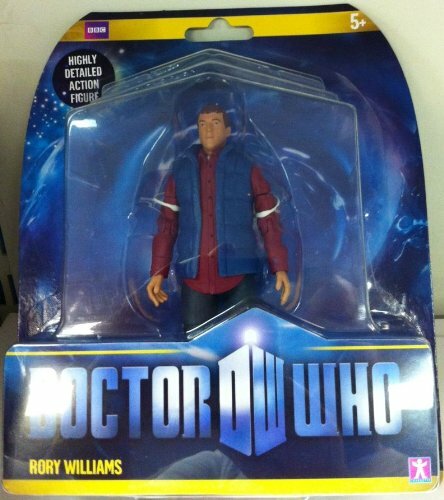 A must for Doctor Who fans everywhere!!! Hedge Witch "A Third Witch" Woo Who! How could I not love it? After all the angst about "Who is this young upstart? ", "Who decided to have an incredibly 'young' Doctor?" and most of all "Who was the idiot who decided that Matt Smith would be the perfect follow up to David Tennant?" this first series (in my mind) proved all the naysayers to be completely wrong.This young man, under Mr Moffit's aegis, has shown us a multifaceted character, a young man's face that can express such old emotions, that depth of anger that links all three new doctors and a wonderfully whimsical surface that can occasionally make me laugh out loud.As far as I'm concerned Matt Smith's performance is the perfect antidote to the doomed darkness of David Tennant's last days as the Doctor and this first series has been such fun. Okay, many adult viewers have complained that the stories have been simplistic or ridiculous but they certainly showcased the new team's acting chops whether you liked them or not. Amy is growing into a strong, modern woman and if I had daughters I'd be proud to think that she was as determined, caring and intelligent as Ms Pond. We all thought Rory would be a damp squib that would turn up whenever he was needed but, instead, he became Rory the Centurion: Amy's guardian, a man the Doctor can trust and, bless him, the man who dies, all the time, over and over... and every time I'm as horrified as the last!So, yes, remember Chris Ecclestone's powerful, playful Doctor, weep over the little death of David Tennnant's demise but don't belittle young Mr Smith's performance. Remember that last episode where he sat beside Amy's bed telling her all those wonderful things, his face mirroring his emotions, the shadows of the old man drifting across his face and then tell me he's not the right man for the job.Long live the Moff! 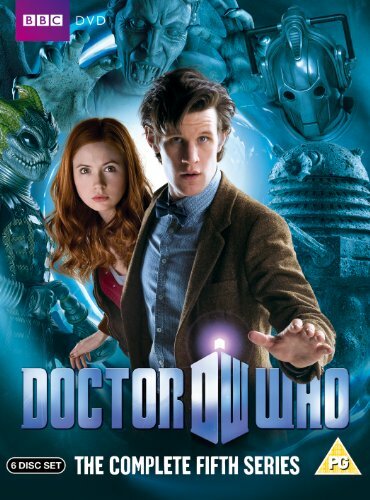 Join the Doctor, his companions Amy and Rory (aka the Ponds) and numerous friends on their latest escapades through space and time where they puzzle an unexpected invasion of Earth, save a spaceship full of dinosaurs, don Stetsons in a Wild West adventure and are even kidnapped by the Doctor’s oldest foe. The explosive series concludes with Amy and Rory’s heart-breaking farewell a race against time through the streets of Manhattan. Will the Doctor really lose the Ponds forever? There’s only one way to find out. The last episode features the Weeping Angels. Estevan Guerrera "avid learner" Yes, Series 6 was somewhat disappointing...I hope Series 7 is better! I agree with reviewer Ian J. Withers. Series 6 was disappointing, and much different from the previous sets of series. In my opinion, there is much too much focus on the 3-4 main characters. In previous editions, there were some great storylines centered around new worlds and the types of people who lived there. I hope the series gets back to that direction. Cheers!